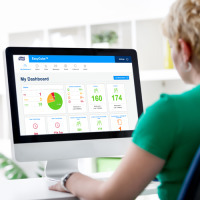 Philadelphia, PA – September 15, 2015 – Today, Essity, the producer of the Tork® brand of Away-from-Home professional hygiene products, announced that the Tork Xpressnap Image Napkin Dispensing Systems won two awards at the 2015 International Design Excellence Awards (IDEA), one of the world’s most prestigious design competitions. The design of the newly launched, high-end napkin dispensers won a Silver IDEA award from the Industrial Designers Society of America (IDSA) and the IDSA IDEA People’s Choice Award as a result of an online public vote. Xpressnap Image was one of just 81 winning designs out of more than 1,700 submissions worldwide. The Xpressnap Image line was created to provide a high-quality tabletop napkin dispensing option that is both functional and aesthetically beautiful for upscale foodservice establishments. The new line, launched in North America earlier this year, is made of premium materials and available in two styles – sleek aluminum and genuine walnut – with traditional and café sizes available for both. Made to seamlessly blend in with modern décor, the dispensers maintain the well-known One Napkin, Every Time™ technology used in all Xpressnap dispenser lines. 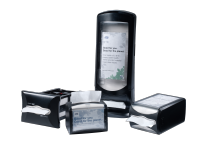 By only allowing customers to touch and take one napkin at a time, the dispensers reduce napkin usage by up to 25 percent* when compared to traditional dispensers – saving restaurants time and money. Beyond the dispensers themselves, the Xpressnap Image collection also features new Tork Premium Extra Soft Xpressnap dispenser napkins that incorporate six elegant white print leaf designs throughout each napkin sleeve. In addition to the IDEA awards, both styles of the product also received prestigious Red Dot Design Awards in 2014 for quality design and were recognized as a winner of the Foodservice Equipment Reports 2015 Tabletop awards.